Whether you’re just starting to work out for the first time or a seasoned athlete, muscle fatigue is a common experience while working out that may damper your workout routine. And while it can be quite unpleasant, it’s a natural process that allows your body to adapt to a fitness regimen and tells you that you’ve reached your psychological or metabolic limit. It’s also a good indicator that you’re challenging your body enough. Although there’s no way to eliminate muscle fatigue and soreness during workouts, there are a number of ways to minimize it such as with StaminaPro. 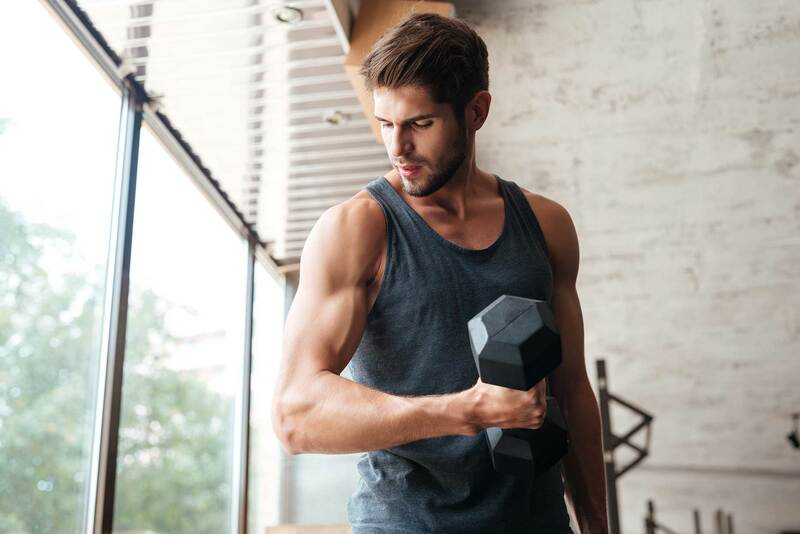 Here are a few more healthy lifestyle changes and workout tips for reducing muscle fatigue you can incorporate in your daily workout routine. Before performing intense workouts, it’s important to prepare your body with adequate nutrition before, during, and after working out. With proper eating schedule, your body and muscles will be adequately fueled to perform the different exercises and be able to recover fast enough post workout. Have a light, nutritious meal 2 hours before your workout. For endurance training, it might be necessary to take in nutrients and supplements during the workout to ensure that your body has enough glucose. If you fail to fuel properly, you will be more likely to “bonk” or “hit the wall”, which is a dreadful point of muscle fatigue that occurs when your muscles run out of fuel. For instance, consuming amino acids in your pre-workout smoothie or in your water while training will be beneficial in minimizing muscle fatigue. Amino acids are vital in muscle growth, repair, and maintenance, and essentially control most of your body’s processes. Muscles are very responsive to the intake of amino acids when being worked out. Taking amino acids after immediately after training can be effective too. Always avoid working out on an empty of a full stomach. Ensure that you’ve eaten within an hour after you work out. This helps to refuel and repair the muscles that were broken down during the exercise. Aside from fueling your body with appropriate nutrients, drinking ample amounts of water is one of the most effective way of minimizing muscle fatigue during workouts. Water helps in the restoration of the natural body balance, which ideally prevents straining the muscles. When you take in enough water, your muscles will be well hydrated, causing them to loosen up and result in a much quicker recovery from muscle fatigue. Water also plays an important role in flushing away all of the toxins and waste produced, as these can hamper muscle recovery. A great way of increasing your fluid intake is by taking fruit juices. Apple juice for instance, is rated the best for muscle recovery. That’s because it has polyphenols, which are essential in enhancing muscular strength and fatigue resistance. It’s recommended to take in 10 oz to 12oz glasses of water daily. Whilst you exercise, aim to drink about 125 ml to 250 ml of an electrolyte rich drink every 10 to 20 minutes. This helps to replace the nutrients and the water lost due to sweating. All workouts require you to maintain a well-balanced diet in order to be effective. A diet that includes fruits, complex proteins, carbohydrates, and vegetables is essential, as it helps to keep all the natural body processes working optimally, including your muscles. Aim to increase the amount of carbohydrates you take in, ideally starting about 7 days before exercising. For aerobic athletes, increase the carbohydrate content of your diet to about 40% to 60% of your caloric intake, while anaerobic athletes should increase it to about 30% to 35%. This will help to maintain the glycogen levels of your muscles, which are usually depleted during exercising. Never underestimate the importance of a good night’s sleep in preventing muscle fatigue. Sleep is a critical element for the proper functioning of the human body. As such, you should always aim to get some good, undisturbed sleep when trying to recover from the day’s exercises, since it plays a crucial role in muscle repair. Furthermore, avoid eating before you go to sleep, because protein synthesis usually occurs in the gastrointestinal tract. That’s where the body muscles have to be broken down in order to provide the stomach with amino acids, which lowers the chances of muscle repair. When your respiratory muscles start getting tired, oxygen is redirected from the limb muscles to the muscles of your diaphragm. A great way to enhance your endurance and reduce muscle fatigue during training is to intensify your aerobic workouts gradually. You can achieve this through interval training, or via a training device for your respiratory muscles, which lets you breathe against strong resistance to increase your lung capacity. No matter what technique you choose, increasing your endurance will boost the oxygen levels in your blood, which will in turn keep your muscles working for longer periods and prevent the buildup of lactic acid. Stretching before intense workouts helps with the prevention of muscle fatigue. Regardless of what muscle group you’re training, doing some stretches that involve the area between your sets will help a great deal. Stretching after the training will be beneficial too, especially if you focus on the muscles you’ve used. Cool down for 5 to 10 minutes after each exercise. It’s better to start off slow and build up your intensity levels gradually to ensure your muscles are continually challenged to allow them to build over time. Take adequate rest between strength repetitions and workout sessions. Listen to your body carefully. Fatigue is an indication that your muscles have not recovered yet. If this is the case for you, perform low intensity, low impact exercise such as walking, yoga, or swimming. Refrain from higher intensity training until you feel recharged and fully recovered. Pay careful attention to the body mechanics when exercising. Follow a regular stretching program, while being attentive to incorrect movement patterns and muscle imbalances. The right flexibility and strength will help you achieve the correct posture while exercising. If you can’t attain the correct form when performing the exercise, modify the exercise or decrease your weight.